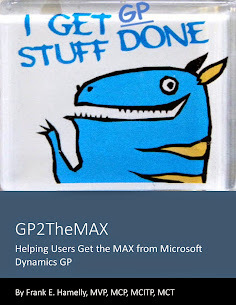 GP2TheMAX - Helping users get the 'MAX' from Dynamics GP: GP2TheMAX Kindle Book now available on Amazon! GP2TheMAX Kindle Book now available on Amazon! Six years ago, when I started blogging on GP2TheMAX, I intended one day to compile my favorite posts into book form and publish it. Well, that day has come. Thanks to the miracle of the interweb, electronic publishing, and Amazon, it is done. 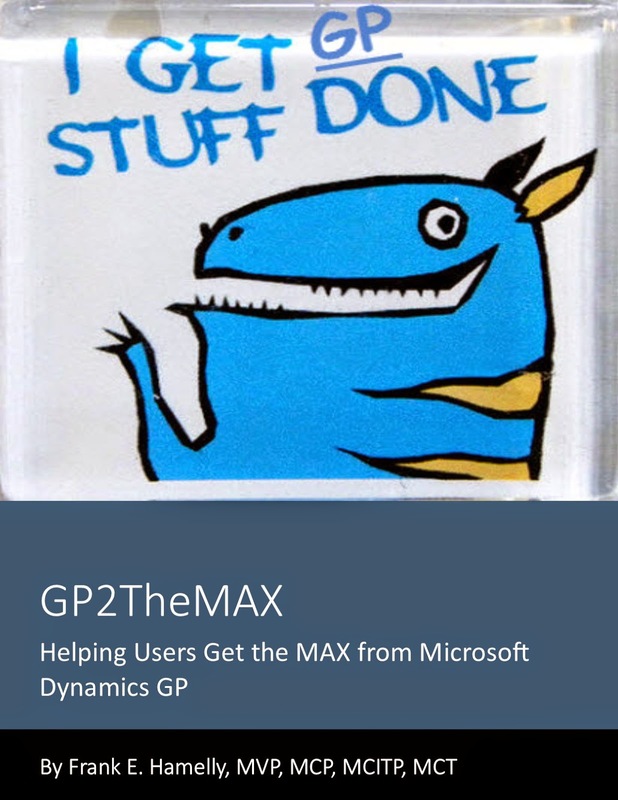 I've gathered 125+ of what I think are the most helpful blog articles into GP2TheMAX - I Get GP Stuff Done. The articles in the book are organized by module - General Ledger, Accounts Payable, Inventory, etc., with hyperlinks to each article from the Table of Contents to make it easy to navigate to your topic of interest. Of course, I removed the articles from this blog that are contained in the book, else no one may have bought the cow when they could get the milk for free! I want to thank a couple of people for helping me make this possible - Mariano Gomez, MVP, for pushing me to start blogging way back when, and Murray Fife, MVP and fellow IBIS colleague, for showing me the Amazon Kindle publishing ropes. And of course, I have to thank each and every GP MVP out there, for without their help and guidance with numerous GP issues I've encountered, I would not have been able to stumble upon the solutions on my own. My next endeavor is going to be to really dig into GP 2015 and blog about all the incredible features to come when it is released later this year. Exciting times coming!